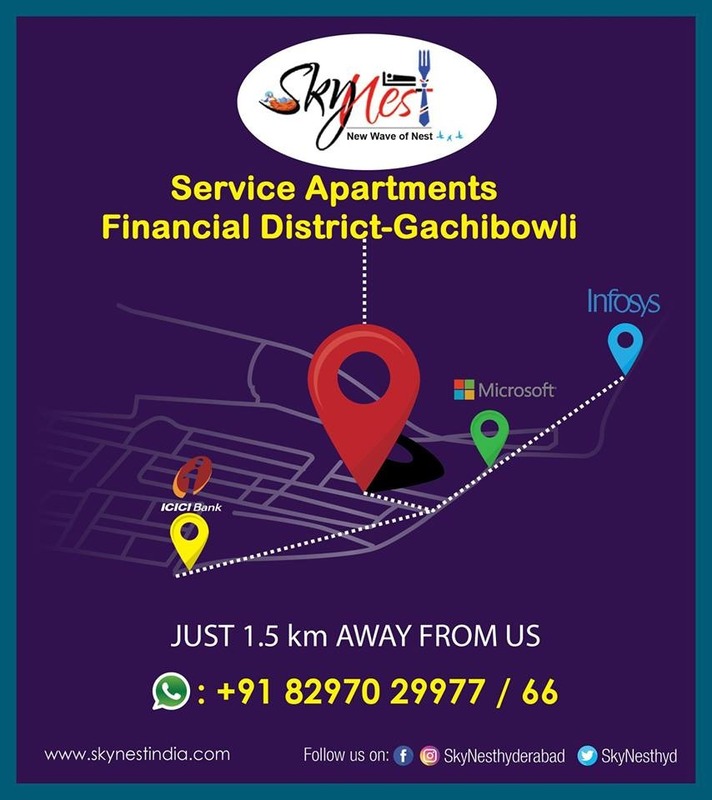 SkyNest Offer Serviced Apartments in Hyderabad, daily, weekly, monthly and yearly best-discounted price it includes as a package for business travelers like AC room with Housekeeping, Wi-Fi and Food also as per special request. SkyNest will assist you with Single Room/Double Sharing/Triple sharing Services Apartments with affordable price. We are located at Financial District, Gachibowli Hyderabad and IT Companies corridor.